The entire length of the wall at San Anton Palace courtyard before the collapse. 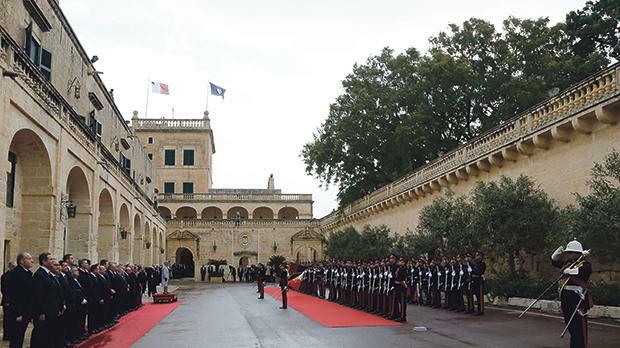 The collapse of a recently-restored 17th century wall at San Anton Palace in the early hours of Wednesday was quite extensive as a stretch of about 50 metres long was reduced to rubble. While the adjacent gardens were closed to the public as a safety precaution, the extent of the damage was only visible on Thursday during an official event at the Presidential Palace for which the media was invited. 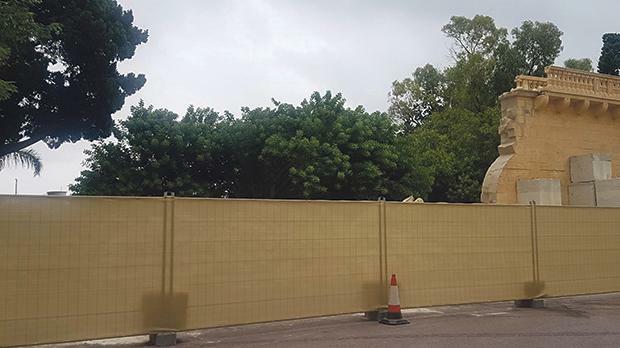 For some reason however, the Times of Malta was informed by a security officer it was forbidden to take photos of the wall, which was cordoned off by translucent mesh. While no explanation was given for this ban, a spokesman for the President’s Office later called to apologise saying no such order had been given. In a statement on Wednesday, the President’s Office said nobody had been injured and that an inquiry had been launched. The Restorations Directorate was looking into the “technical side of the matter,” it added. The incident raised questions in the wake of the fact that the wall, which was part of a Grade 1 scheduled building – the highest degree of protection possible under planning laws – had only been restored last summer. Though no further statements were issued by the President’s Office, the remaining parts of the wall, which is about half a metre thick, had been reinforced by large concrete blocks at the side. Debris was still scattered around, albeit behind a mesh. Emergency work was carried out to seal the ruptured parts of the wall with a cement-like substance to limit rainwater from seeping into the wall’s interior structure and causing further damage. Part of the historic wall which collapsed on Wednesday.